This extraordinary building was opened in 1876 as Kiralfy's Alhambra Palace. 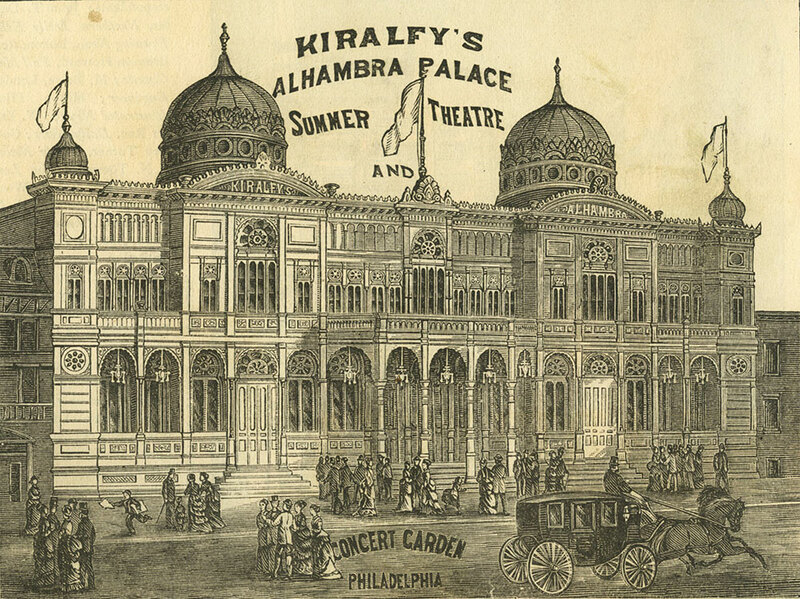 The Kiralfy brothers were successful entertainers and impresarios who toured the country with their theatrical extravaganzas often to their own theaters. Inspired by the Moorish style of architecture this palatial building featured two large domes, and its ornate interior was painted in brilliant colors reminiscent of its namesake in Spain. The general public could enjoy a beer garden and an open-air restaurant. The theatre underwent many architectural modifications during its long history, becoming known as the Broad Street Theatre before being demolished in 1937.